Tuxedo is a retro-funk duo fronted by two established artists. 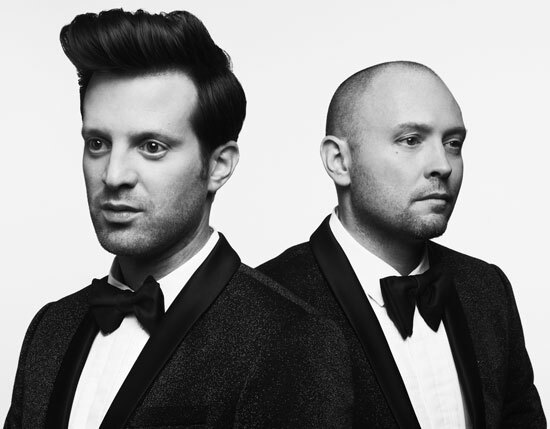 Mayer Hawthorne made his name as a modern-day soul crooner with a style firmly rooted in the music of his Detroit hometown. Seattle-based Jake One is a hip-hop producer and member of the famed Rhymesayers Syndicate. Both have earned Grammy nominations for their past work. But Tuxedo finds both artists working outside their customary musical idioms: their two albums (2015’s Tuxedo and 2017’s Tuxedo II) are packed with ’80s-styled dance funk. “Perfect is boring,” adds Hawthorne with a laugh.